For the very first time in years, Afghanistan has been not listed among the three most corrupt countries in the world. The Transparency International has published its annual ‚Corruption Perception Index‘ on January 25, which shows significant improvement in Afghanistan. The war-torn country has jumped from the third most corrupt country in the world to the 8th in just a year. It is worth noticing that the Kabul government is pursuing a rigorous plan to curb graft at all levels. According to the TI, no country got close to a perfect score in the Corruption Perceptions Index 2016. 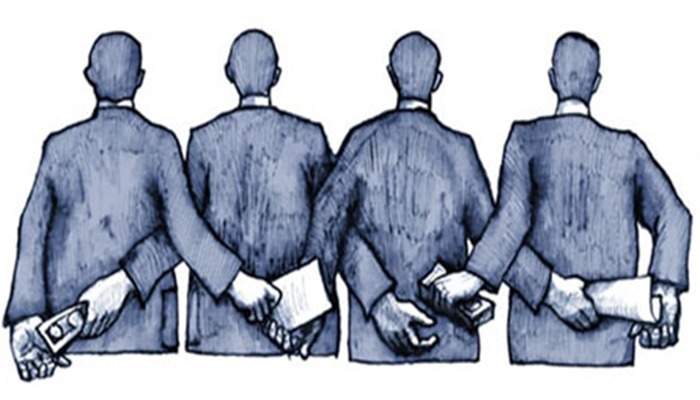 The anti-graft watchdog noted this year’s results highlight the connection between corruption and inequality, which feed off each other to create a vicious circle between corruption, unequal distribution of power in society, and unequal distribution of wealth. With an exception of Afghanistan, more countries declined than improved in this year’s results, showing the urgent need for committed action to thwart corruption. Afghanistan has secured four additional points on the positive side to leave behind Somalia, South Sudan, North Korea, Syria, Yeman, Sudan and Libya to secure a relatively better place (169th from the top and 8th from the bottom). Placed in the Asia Pacific region, the country was placed among the top three corrupt nations for quite a while, and it is the first time Afghanistan has come out of it. Often pronounced as the country’s ‘Architecture-in-Chief’, the Afghan President Mohammad Ashraf Ghani deserves the credit for striving for fairness and transparency in his war-riddled country. The man is known to go through each and every procurement file and personally interview individuals for high-level appointments. It would be much wise of him and all his backers in the west, Muslim world, and the region to help institutionalize the reform process so that the improvements in anti-graft scale continues even after Ghani.